A few years ago when I was asked to start the Jewish Techs blog for The Jewish Week, I was concerned there wouldn’t be enough material to write about. After all, there are a lot of worthwhile news stories about technology and a lot of interesting topics in the Jewish world, but I wasn’t sure there would be enough areas of integration. Boy, was I wrong. Religion in general and Judaism in particular are very much enmeshed in the field of technology. As our world becomes more dependent on technology, our Jewish lives are adapting as well. Jewish visionaries are at the head of the tech revolution and hi-tech innovation has been a driving force in Israel’s economic growth in the 21st century. The Internet and tech gadgets have revolutionized Jewish learning in ways never imagined before. 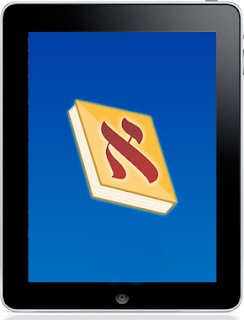 A set of the Talmud that once occupied an entire shelf now resides on a Smartphone with full search capabilities. The Dead Sea Scrolls were once only available to those able to travel to Jerusalem, but they are now available to the world on the Web. And it is no longer unusual that the homebound are participating in High Holy Day services virtually. In early January at the Consumer Electronics Show (CES) in Las Vegas, Jewish technology leaders featured prominently. CES is produced by the Consumer Electronics Association led by Gary Shapiro, whose new book Ninja Innovation is sure to become a best seller in the tech world. Through the convention halls of CES were Jewish owners of technology stores and companies, inventors, and industry leaders. Innovators from Israel were seen making deals with investors, a daily minyan was convened, and the Las Vegas Chabad supervised a lunch stand. 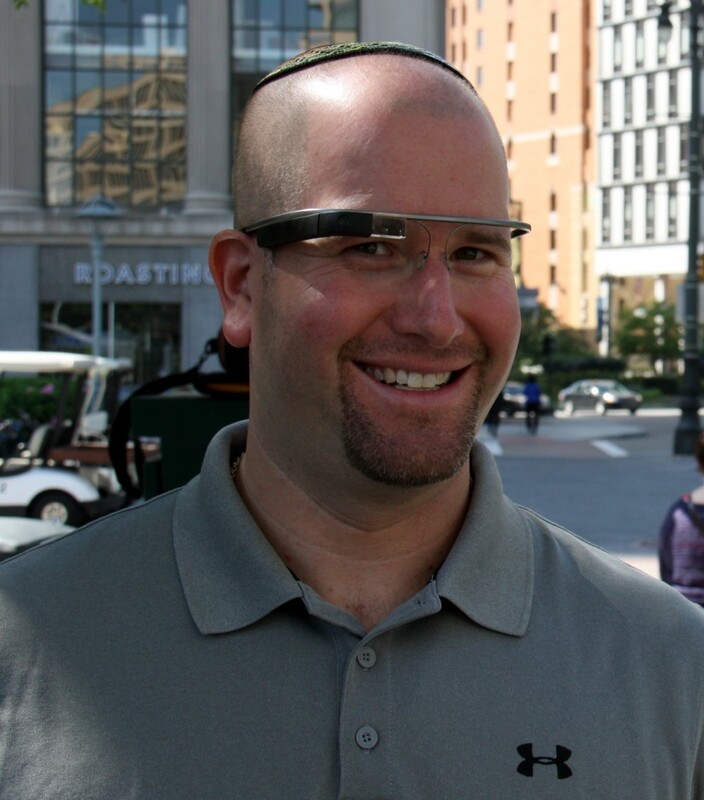 In 2012 there were many Jewish-related stories in technology. I put together a list of the top ten stories of the year (in no particular order). To stay informed about the intersection of Jewish life and technology this year, connect with the Jewish Techs blog at http://thejewishweek.com/blogs/jewish-techs. For the first time in Israel’s existence the country waged a parallel war on the Internet. During its military situation in Gaza, the IDF focused part of its attention on social networking uploading videos of its operation to YouTube, informing its following on Facebook and posting a barrage of updates to Twitter. The East Coast’s found itself challenged by super storm Sandy for several weeks. Synagogues in New York, New Jersey and Connecticut used social media to keep its congregants informed about everything from relief efforts to places to recharge cellphones and alternative locations of Shabbat services. During the week-long power outages, some synagogues had life-cycle events like weddings and bar mitzvahs to contend with. A drawn out, messy divorce case quickly went from a private matter to a world-wide public debate. Aharon Friedman, a staffer for a Michigan congressman, refused to grant his ex-wife Tamar Epstein a Jewish divorce. Online petitions and then a highly trafficked Facebook page put pressure on Friedman, including a call for him to be summarily fired. It was the first time a Jewish domestic dispute had gone to social networking to be resolved. Jewish Republican voters have been growing their ranks and looking to the Internet to try to convince their Democratic co-religionists. Never before has social media been so influential in a presidential election. Friends were attacking friends on Facebook for their political views. News articles and YouTube videos were posted on each other’s Facebook walls. Back-and-forth tweets were shot around Cyberspace debating whether President Obama or Governor Romney would be the better choice for Israel. The popular computer and phone company found itself being questioned by pro-Israel supporters for neglecting to associate Jerusalem as the capital of Israel on its faulty map application. When Apple released its new operating system, iOS6, it didn’t show Jerusalem as the capital of Israel although every other country on the map had its capital listed. The biggest tech story coming out of Israel this year was about a little GPS app company called Waze. The mobile app, featuring turn-by-turn navigation was developed by the Israeli start-up Waze Mobile and differs from traditional GPS navigation software because its community-driven. The app learns from users’ driving times to provide routing and real-time traffic updates. When Apple’s mapping application had flaws, Apple’s CEO recommended that iPhone users download Waze. After growing to more than 40 million users in 2012 there were rumors that Facebook and then Apple were interested in buying Waze (for some $40 billion), but neither deal panned out. If asked what two collections from the Jewish textual tradition would be most beneficial in a fully searchable, digital format scholars would come to consensus over the Dead Sea Scrolls and the Talmud. The Israel Museum’s Dead Sea Scrolls Digital Project, a partnership with Google, launched in 2012 allows users to examine and explore the most ancient manuscripts from Second Temple times at a level of detail never imagined before. Five Dead Sea Scrolls have been digitized so far and they can be searched through queries on Google.com. What had been hidden and lost in a cave for generations are now online for the world to see. Earlier this year, Artscroll announced the launch of the ArtScroll Digital Library and the first mobile app they will launch will be the ArtScroll Schottenstein Talmud. The app will offer all of the necessary tools students of the Talmud would want as they study and debate the ancient text. The app was produced by Rusty Brick and features page syncing, place tracking, extra hand, page fusion, hybrid page, floating translation, quick scroll, integrated notes, and page mapping color coding. The Apple version is already available and an Android version is expected to be released this year. In May, more than 40,000 ultra-Orthodox Jews attend a sellout rally in Citi Field, home of the New York Mets. The attendees came to protest the growth of the Internet, which they believe is a moral detriment to their religious way of life. Rabbis spoke to the crowd about the perils of the Internet and cautioned those who are required to use the Internet for their work to use a filter so as to avoid unseemly content. Rosh Hashanah 2012 marked the first time that several rabbis around the country encouraged their congregants to take out their SmartPhones and use them. In most congregations, participants were reminded to put their tech gadgets away, but in some synagogues like Rabbi Amy Morrison’s Reform temple in Miami Beach she told the worshippers to “Take those phones out.” This innovation was seen as a way to engage the crowd of digitally connected 20- to 30-year-olds. No doubt tweeting and texting during religious services will only become more prevalent in the years to come, right or wrong.